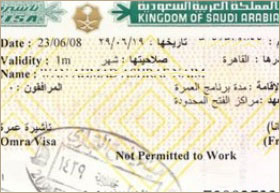 In order to get you Umrah visa from Saudi Consulate we will require following documents. Inoculation against meningitis original certificate. Submit two recent passport pictures with white background only.